Texas rainfall events as intense as that produced by Hurricane Harvey, which had about a 1 percent annual likelihood in the 1990s, had already increased in likelihood to about 6 percent annually in 2017, and by 2090 could be about 18 percent. 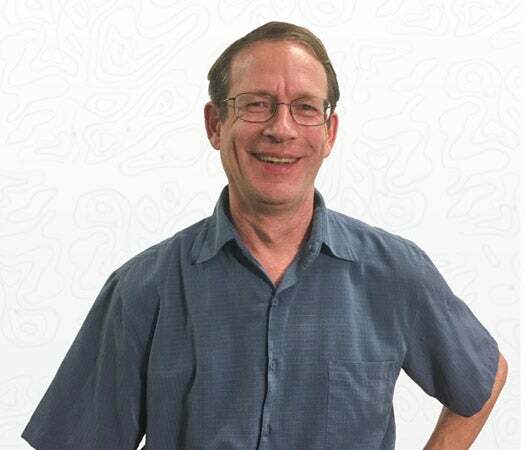 That’s according to the paper "Assessing the present and future probability of Hurricane Harvey’s rainfall", published on Monday in Proceedings of the National Academy of Sciences by Dr. Kerry Emanuel of MIT, who is widely regarded as the world’s leading hurricane expert. His model showed that these odds had already shifted in the year 2017 to a 1-in-17 year event for Texas (and 1-in-325 year event for Houston.) By the end of the century (the years 2081 – 2100), the model showed the odds of a Harvey-like rainfall event continuing to increase, to a 1-in-6 year event for Texas and 1-in-100 year event for Houston. Dr. Emanuel did not attempt to ascertain the dominant reason why climate change could be causing this increase in odds of Harvey-like rains, but cited greater water vapor concentration, stronger upward motion in storms, longer duration of events, and greater frequency of events as possible contributors. Dr. Emanuel gives an interesting summary of the research in a 70-minute lecture presented at MIT in September 2017 (video here). Hurricane Harvey was the second most expensive weather-related disaster in world history behind Hurricane Katrina (2005), with damages of $90 billion, said insurance broker Aon Benfield last week. 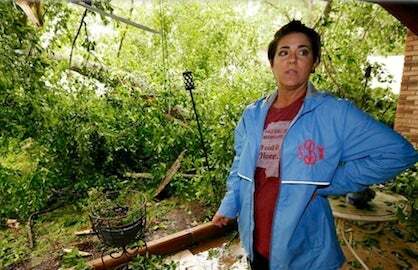 Other insurance groups put the damages at $70 billion - $200 billion. Remarkably, the usual culprits in extreme hurricane damage—storm surge and destructive winds—were only of secondary importance for Harvey. The majority of the great hurricane’s damage occurred because the storm stalled in place and dumped truly prodigious rains in excess of fifty inches over one of the world’s largest metropolitan areas—Houston, Texas. 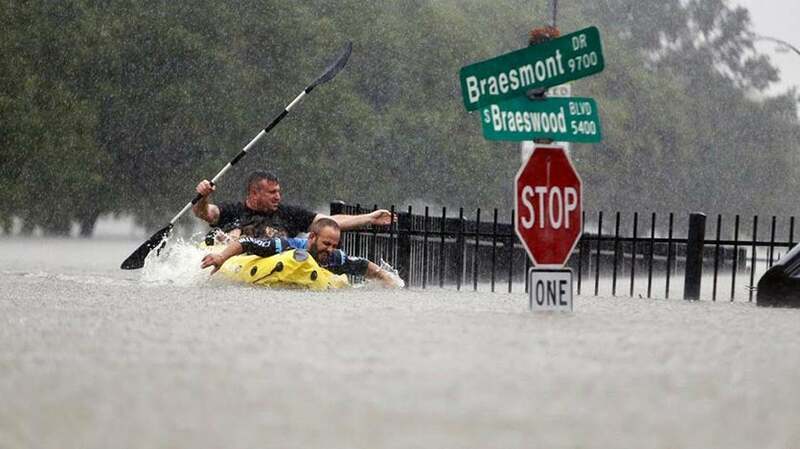 The nearby Port-Arthur/Beaumont, Texas area received even more extreme rains—up to 60 inches. These rains washed away many all-time meteorological and hydrological records, not only for Texas, but for the entire United States. 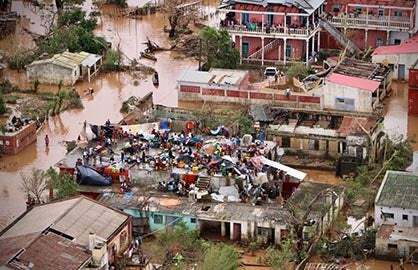 More than 6.7 million people in a 29,000 square mile area (the size of West Virginia) received at least 20 inches of rain in seven days, said NOAA’s Tom Di Liberto in an article at climate.gov, and an area larger than the state of Massachusetts received 30+ inches of rain. Several locations received more than 25 inches of rain in one day, including 26.03 inches on August 29 at the Beaumont-Port Arthur Airport; rainfall rates over 5 inches per hour were reported in some places. Figure 1. Storm-total rainfall from Hurricane Harvey, August 24 – 31, 2017. Harvey dumped over 40” (yellow colors) in Houston, with isolated amounts in excess of 50” (pink colors) south of Houston and northwest of Port Arthur. Image credit: NOAA. 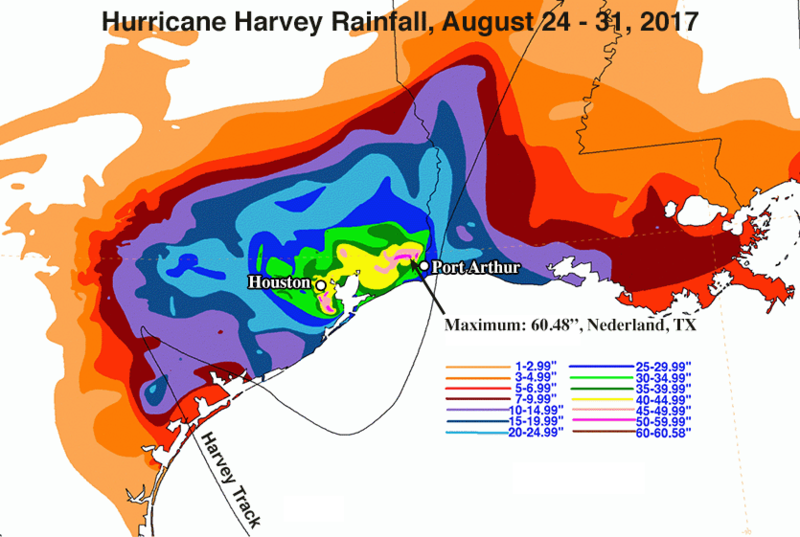 According to the Hurricane Harvey post-storm reports from the National Weather Service (NWS) offices in Houston, Texas and Lake Charles, Louisiana, eight rain gauges in Texas tied or broke the previous all-time U.S. record for rain from a tropical cyclone or its remnants: 52.00” from Hawaii’s Hurricane Hiki of 1950. Harvey’s peak rains fell near the Louisiana border in eastern Texas, between Beaumont and Port Arthur, where 60.58” was recorded 1.5 miles southwest of Nederland and 60.54” 1.3 miles north of Groves. There was one wunderground personal weather station that recorded an even higher amount, but the NWS tested the rain gauge and found that it was improperly calibrated. According to wunderground weather historian Christopher C. Burt, Harvey was certainly the most extreme 3-day precipitation event on record to affect any major city in the United States since record keeping began in 1895. At Houston’s Hobby airport, the 3-day rainfall from August 26 - 28 was larger than the previous record for wettest 65-day period, and each of those days ranked in the top five for wettest days since 1930. August was the wettest month on record for the city (39.11”), more than double the previous wettest month (19.21”). The previous continental U.S. record for 3-day precipitation in a major U.S. city was 24.11”, in Key West, Florida on Nov. 10 - 12, 1980. Thanks go to WU member BaltimoreBrian for pointing out that the records for Beaumont/Port Arthur needed to be added! The Harris County Flood Control District estimated that one trillion gallons of water fell in the county (where Houston lies) in four days. A meteorologist with the Harris County Flood Control District noted that it was estimated that 70% of the county was flooded by at least 1.5 feet of water, and ten of the nineteen monitoring sites on the county’s bayous had record flood crests during the event. Figure 2. Preliminary maximum 5-day Average Recurrence Interval (ARI) of Hurricane Harvey’s rainfall in Texas from August 25, 2017 through August 30, 2017. An area over 100 miles in diameter (yellow-orange, orange, and magenta colors) experienced 5-day rains that we expect to occur on average every 1,000+ years (i.e., have no more than a 0.1% chance of occurring in any given year), based on a USGS statistical analysis of historical rainfall data from the past century. Some localized maximum recurrence intervals of over 1 in 500,000 (a 0.0002% chance of occurring in any given year) were observed in the northern Houston Metro area. Note that a 1-in-1000 year rainfall event is not the same as a 1-in-1000 year flood, which depends on more than just rainfall. The black dots represent rain gauges used in the analysis. Source: MetStat, Inc. Using the past century of rainfall data, scientists can estimate the Average Recurrence Interval (ARI) of a given rainfall event. Using this metric, Harvey’s rains were truly biblical in intensity. According to MetStat, Inc., an area of Southeast Texas approximately 100 miles wide experienced 24-hour rainfall amounts that we would expect to occur on average every 1,000+ years (i.e., have a .1% chance of occurring in any given year). 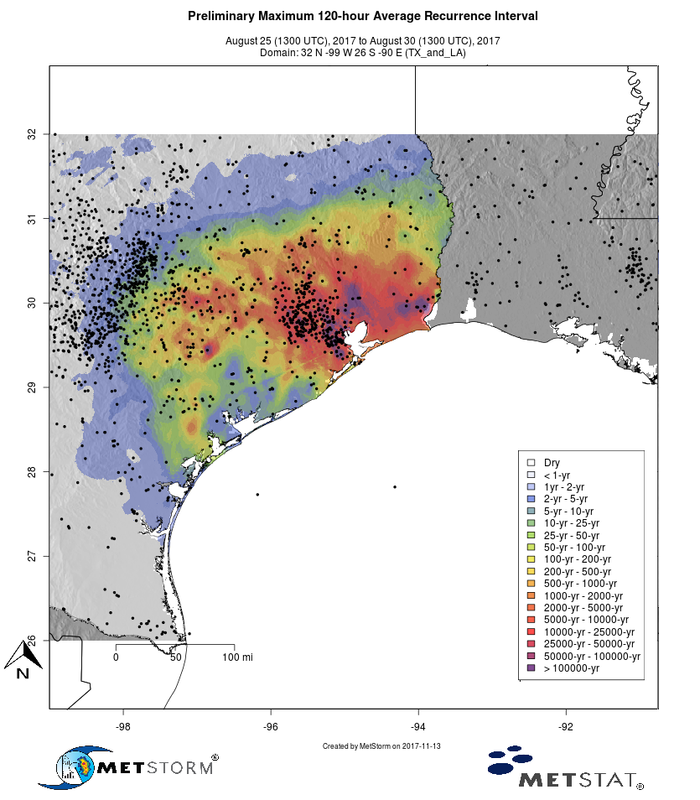 Some localized maximum recurrence intervals of 1 in 500,000 (a 0.0002% chance of occurring in any given year) were observed in the northern Houston Metro area based on a USGS statistical analysis of historical rainfall data from the past century. This likely overstates the true rarity of this event, since we are discussing recurrence intervals (> 1,000 years) that are greater than the length of time we have records for (about 100 years). However, specialized and sound statistical methods support the computation of recurrence intervals of this rarity to meet the needs of dam owners and nuclear power operators/designers. It is important to understand that these statistical analyses are not an expression of over-confidence in the statistical approach, but rather to make comparisons and to assess the behavior of the frequency values and uncertainty. The World Meteorological Organization does not call for explicit inclusion of climate change effects in these calculations given that a standard of practice has yet to be established. Therefore, most current calculations of recurrence intervals assumes the climate is not changing, and it is. Global warming puts more moisture into the atmosphere, making heavy precipitation events more likely, so an event like Harvey’s deluge is potentially much more likely than it was 100 years ago, as argued by Dr. Emanuel in his paper discussed above. Figure 3. Time series of the 15-year running average (plotted at the end point of the 15-yr blocks) of a Tropical Cyclone Heavy Precipitation Index (red) and 15-year running average of U.S. landfalling hurricanes (blue). 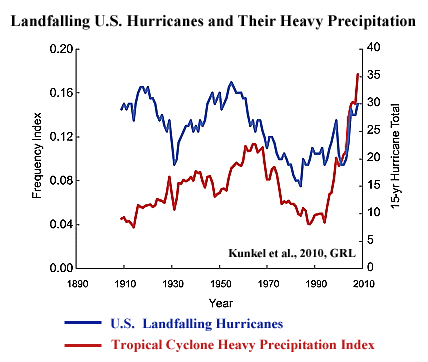 Note that there has been no long-term increase in U.S. landfalling hurricanes, but there has been a sharp increase in extreme rainfall events associated with landfalling tropical cyclones--the kind of rainfall events most likely to cause damaging flooding. Image credit: Kunkel et al. (2010), "Recent increases in U.S. heavy precipitation associated with tropical cyclones", Geophysical Research Letters. One of the more confident predictions we can make for hurricanes in the future is that they will dump more rain, with typical model results showing tropical cyclone rainfall increasing by 5 – 20% by the end of the century. It is uncertain whether or not we are already seeing this effect, though. A 2015 assessment by eleven hurricane scientists concluded that “there have not yet been any detected global trends in tropical cyclone rainfall rates.” For the Atlantic, the total number of daily rainfall events exceeding two inches associated with tropical cyclones in the Southeast U.S. during the twentieth century did not change significantly, according to Groisman et al., 2004. But a more recent study in 2010 by Kunkel et al., "Recent increases in U.S. heavy precipitation associated with tropical cyclones", found that the number of Southeast U.S. tropical cyclone heavy precipitation events, defined as 1-in-5-year events, more than doubled between 1994 - 2008, compared to the long-term average from 1895 - 2008. Global warming increases the rate at which ocean water evaporates into the air, and increases the amount of water vapor the atmosphere contains when fully saturated. This result is about 6 – 7% more water vapor in saturated air for every 1°C of ocean warming. This increase in atmospheric water vapor can cause a much larger increase in hurricane rainfall than one might surmise, since water vapor retains the extra heat energy required to evaporate the water, and when the water vapor condenses into rain, this “latent heat” is released. 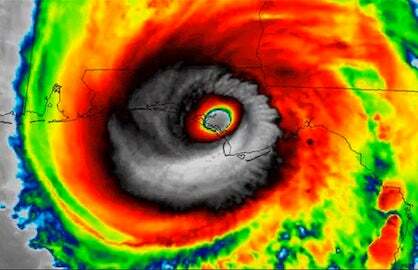 The extra heat helps power the hurricane, making it larger and more intense, allowing it to pull in water vapor from an even larger area and thus dump more rain. Kevin Trenberth, a senior scientist at the U.S. National Center for Atmospheric Research and one of the world’s leading experts on how climate change affects precipitation, estimated that in the case of some hurricanes, “the human contribution can be up to 30 percent or so of the total rainfall coming out of the storm.” Dr. Trenberth performed the only detailed attribution studies done to date on how human-caused global warming may have impacted specific hurricanes. His 2007 paper, Water and energy budgets of hurricanes: Case studies of Ivan and Katrina, found that the precipitation from Hurricane Katrina increased by about 19% per 1°C increase in sea surface temperature (SST) in the computer model used, and that human-caused warming of the climate between 1970 – 2005 has likely led to a 6 – 8% increase in hurricane rainfall. The SSTs in the Gulf of Mexico during Hurricane Harvey were about 1°C (1.8°F) above average. Globally, SSTs have risen 0.3°C (0.5°F) over the past 30 years due to human-caused global warming, and have increased about 0.7°C (1.3°F) over the past 100 years. Thus, a good portion of the extra heat in the Gulf of Mexico for Harvey can be ascribed to global warming. However, no published research has looked at whether or not an increase in stalling behavior in Atlantic hurricane tracks in recent decades can be seen in the historical database. Instead, two recent papers have both found a shift in hurricane tracks away from the Caribbean to the northeast. These studies were "The Impact of Anthropogenic Climate Change on North Atlantic Tropical Cyclone Tracks" (2013), and "Persistent northward North Atlantic tropical cyclone track migration over the past five centuries" (2016).